Traditional doorbells have always been efficient enough, but now that wireless doorbells are available to everyone, it is a pity not to turn to a more modern solution. These devices offer a large number of benefits and they are quite versatile. In case you have always wanted a louder doorbell that you can install easily and uninstall whenever you want, as well as one that allows you to see your visitors and speak with them without necessarily using an intercom, you should know that wireless doorbells can satisfy all of those needs. Before buying a wireless doorbell, it is essential to know what such a product can do. There are models that have basic functions and simply don’t require hardwiring, but there are also those that can do so much more. Some of the smartest products on the market can be connected with your smartphone, have a lot of ringtones that you can choose from, have voice and audio features, powerful batteries and so much more. Depending on your needs, you might find other features to be helpful, too, such as multifunctionality, the ability to connect with home security accessories and so on. 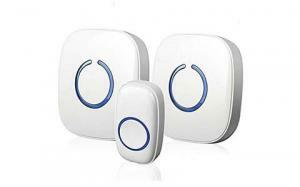 No traditional doorbell can be compared to a high-quality wireless one that can make your life easy, fun and practical. This ring video doorbell pro is incredibly easy to use and works with Alexa, too. Although it needs wiring at first and you need to attach it to an existing doorbell, it can do awesome things. First of all, by working with Alexa, it illuminates and sends notifications whenever it is pressed and when motion is detected. You can see your visitors, speak to them and hear them. 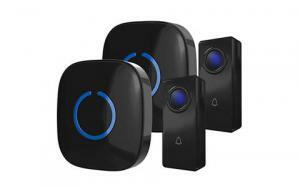 What is even better is its ability to monitor the home and record the events in 1080p videos. If you are wondering if it works in the dark, the answer is yes. It has infrared night vision and records perfectly. This doorbell is compatible with operating systems like iOS, Android and Windows 10. It requires wireless connectivity and a minimum upload speed of 1 Mbps, but who doesn’t have that these days? Another great feature is noise cancelling, which means that you will have no trouble hearing and being heard. Due to the fact that it has to be connected to an existing doorbell, it never runs out of power. In terms of design, you will never get bored of it. You can choose between four interchangeable faceplates. It measures 4.5" x 1.8" x 0.8" and installing it usually takes no more than 15 minutes. There’s more to it: it is weather resistant and has lifetime theft protection. If you really want to upgrade your traditional doorbell and replace it with a wireless one, but you want to keep your budget low, then this is a product that will draw your attention. It has a minimalist style, a great design, it is durable and loud. It comes with a transmitter button that rings 2 units, each with a different melody and over 50 ringtones that you can choose from. This doorbell has an operating range of 500 feet in a closed area and 1000 feet in an open area. Its volume can be adjusted between 25 and 110 decibels, which is more than enough for any home. This is a versatile product. Except for the fact that you can use it as a doorbell, it can also serve as a paging device for the elderly or for patients. This device is easy to install. All you need is self-adhesive tape or screws, both of which are included in the box. It is made of ABS plastic and it measures only 3.2 x 1.5 x 3.5 inches. It is battery operated, so you won’t need to hardwire it. However, it won’t work if the A23-12Volt batteries are discharged. 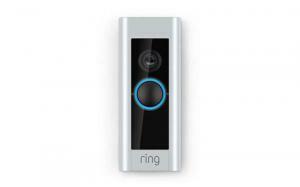 This can be a great addition to your home if you are looking for a powerful, multifunctional doorbell. 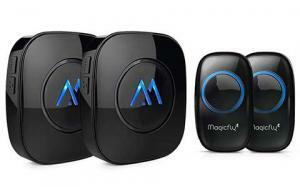 Another great option is this wireless doorbell from MagicFly, which comes at a great price and has a lot to offer. It has an elegant design; it comes in black and has 52 pleasant melodies. It is comprised of a main receiver that doesn’t need batteries, but must be plugged into an outlet, and a transmitter that is smaller and has a push button. The main receiver comes with an audio speaker and has 4 volume levels that you can adjust according to your needs. The transmitter can be fixed near the door or directly on to the door frame. The installation is easy and can be done using adhesive tapes or screws. This doorbell works in a maximum range of 1000 feet. It consumes very little power and has 3 lighting modes. Also, the lighting can be disabled. All you have to do is to choose its last setting (don’t light). The package includes the installation screws, 2 transmitters and 2 receivers, 2 12V 23A batteries, 4 screws, 4 plastic rings and 2 stickers. It is a small-sized product but not as small as the previous one from Sadotech, measuring 6.3 x 5.7 x 3.7 inches. One other important thing about this product is the fact that it is waterproof, which means that it will continue to work even when it rains. Sadotech brings to the market yet another small and elegant wireless doorbell that is worth the attention of buyers who need several transmitters. This is an expandable device that can be used on multiple doors of the house, office or any other space that needs a brand new, modern doorbell. The multi-unit includes a starter kit that contains 2 receivers and 2 transmitters. In time, should you decide that more transmitter buttons are needed, you can buy an extra transmitter and connect it to the main receiver. Besides being able to take on multiple transmitters, this device is equipped with motion sensors and you can add some more of those, too. Chime receivers and door sensors can be added, too. A total of 20 buttons can be added in case the property is very large or if you are planning to use the device as a pager. It has 2 plugin chimes, 52 ringtones and adjustable volume that can be set at 4 levels. The transmitters are waterproof, so you don’t have to worry about weather conditions. Novete is another manufacturer that offers high-quality wireless doorbells that need no hardwiring and that can make your daily life easier. This product comes in black, has a sleek design and a lot of functions. First and foremost, it is important to mention that it works on range of up to 1312 feet, which means that it is suitable for large gated properties, too. More than that, it does not interfere with other equipment in your home. It comes with 52 ringtones and 5 volume levels, by comparison with most similar products that have only 4 volume settings. It is loud, so you can hear it easily, the maximum level of loudness being 115 decibels. This wireless doorbell can be easily installed, having a receiver that must be plugged in and a transmitter that attaches to an exterior wall. The package includes screws and adhesive tapes for easy installation, so you don’t have to buy them separately. This device is waterproof, has a long battery life and endures extremes temperatures. More than that, it has a memory function that allows it to remember the ringtone and volume that have been set before a power outage, so that you don’t need to do it manually every time. Is your current doorbell good enough? If not, then it is time to purchase a wireless doorbell that brings a lot of advantages and makes your life so much easier. As you probably noticed while reading the descriptions above, these devices cover large areas, can be operated from a distance and most of them come with multiple receivers and transmitters. They are beautifully designed and some of them can be also used as pagers. Therefore, if you work in an environment where people need to notify the staff using some sort of device, this is a great option to consider. Besides being versatile and durable, there are other features that you should be looking for, too. Water resistance, operation under extreme weather conditions are just two of the most frequent needs of customers who choose wireless doorbells.